Partly cloudy this evening, then becoming cloudy after midnight. Low 63F. Winds S at 10 to 15 mph.. 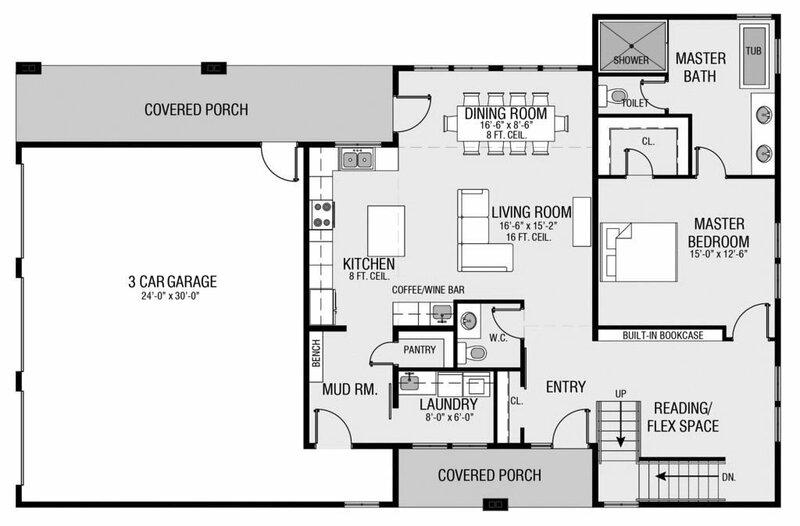 This modern farmhouse plan, No. 1068-1 from ePlans.com, was designed with convenience in mind. A mudroom is brilliantly placed next to the three-car garage and opens to the laundry room. Open to one another, the kitchen, living, and dining rooms provide easy flow for homeowners to move about. Placing the master suite on the main level allows for extra privacy between the master suite and other bedrooms (located on the second level). Sink into a bubble bath in the master suite, or relax in the big shower. Enjoy the fresh air on the large covered porch at the rear of the home.